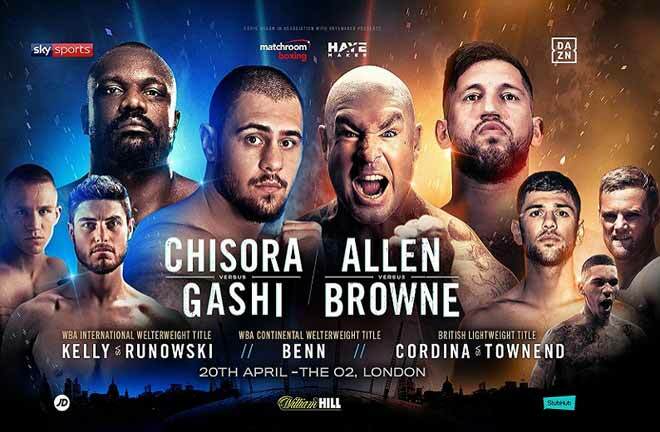 A scheduled April 24th bout which has fans of heavyweight boxing buzzing for months will now have added significance with the unfortunate tragedy which befell the home country of one of its competitors. Poland’s Tomasz “Goral” Adamek, who will be defending his IBF International Heavyweight Title against the heavy-handed, top-rated contender and local hero Cristobal “The Nightmare” Arreola in the HBO “Boxing After Dark” telecast of the “RING OF FIRE” main event at the Citizens Business Bank Arena in Ontario, California, will pay tribute to 96 of his fellow countrymen who perished in a horrific plane crash in Western Russia on April 10th. Among the dead were many of Poland’s top political leaders, including President Lech Kaczynski and his wife Maria. Adamek, training in New Jersey, couldn’t help but be affected by the news, but insists he will be focused and ready for whatever knockout artist Arreola brings to the table on the 24th. “This is a tragedy that has never happened before in the history of the world. We have basically lost all the leading politicians including the President and the First Lady and this has just left a huge void,” offered Adamek (40-1, 27 KOs) during a conference call earlier this week which also featured Arreola, his trainer, Henry Ramirez, promoter Dan Goossen and Adamek’s promoter, Kathy Duva. “There is nobody left and I just don’t know how they are going to be replaced. I have no idea. Just the outpouring of grief is amazing. Just to see the coffin of the President you have to stand in a line five miles long. Every Pole feels the grief right now and every Pole is touched by this, and we have no idea how we will rebuild this. I was invited to have breakfast with President Lech Kaczynski after my fight with Chris and I know he was a big fan of boxing and soccer. The breakfast will not happen now so this is one man I will never get to see. I have a very deep faith and I am strong because of this faith, and I draw from my religious experiences to stay strong. “I am dedicating this fight to the people who died in this tragedy, but from a personal standpoint I do not need any additional motivation from the fight or for any other fight. All the fights I am fighting I am 100 percent motivated. There is nothing more I can do going into these fights. So, in a nutshell, I am very motivated no matter what has happened. 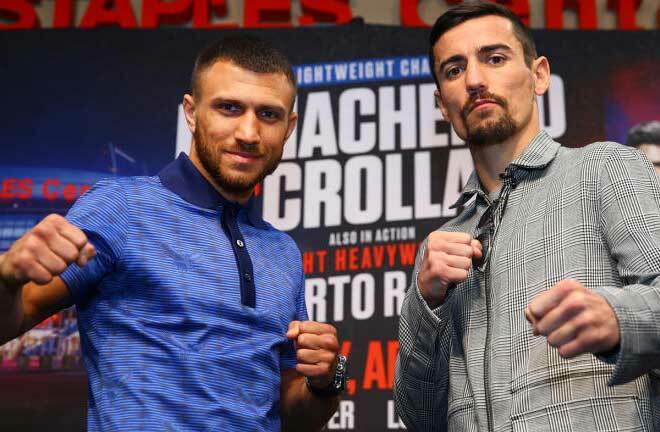 For the 33-year old Adamek, the Arreola fight will mark the third time he has fought as a heavyweight after world championship reigns as a light heavyweight and cruiserweight. At 6-2 and around 220 pounds, Adamek is not intimidated by the taller and bulkier Riverside, California native who has knocked out all but three opponents in his 28 wins. While Arreola (28-1, 25 KOs) can empathize with Adamek over his sense of loss following the catastrophic plane crash, he will enter the ring with his own motivation to erase the memories of his loss in the ring to Vitali Klitschko in his first attempt at becoming the first world heavyweight champion of Mexican descent. “I don’t believe he’s going to come and try to fight me,” Arreola, 28, opined. “If he didn’t come to fight against (Jason) Estrada there is no way he’s going to come and fight against me. Personally I hope he does. I hope he comes to fight. Do I hope it’s going to be an exciting fight? Yes, I do. I want to deliver an exciting fight. As far as his quickness goes, it doesn’t matter to me. 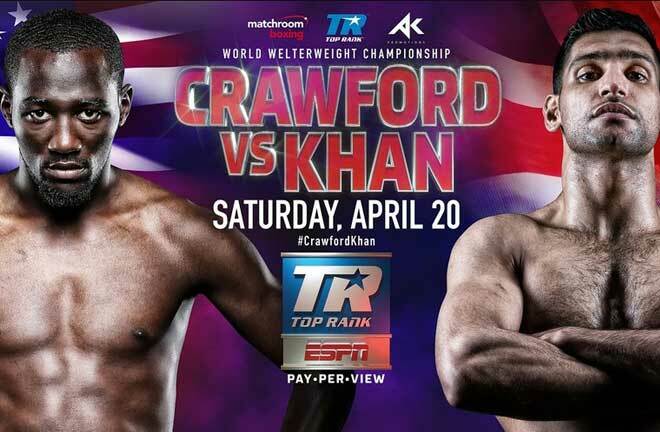 People don’t think I’m quick so it’s something I will have to show during this fight. “Tomasz Adamek is a proven champion and my respect goes out to him,” Arreola credited. “However, I know he’s going to run away from me. I know I’m going to have to cut the ring off and once I get him against the ropes, I’m going to have to bang away. He’s no Vitali Klitschko. You know, Vitali was big and rangy. So eventually I will catch him and when I do, it’s going to be all over. Much has been made about the size difference between Arreola, who has fought as high as 263 pounds in his most recent outing – a fourth-round stoppage of Brian Minto back in December – and Adamek, who is two inches shorter than Arreola and weighed more than 40 pounds less in his most recent win over Estrada back in February. “I don’t care about this David and Goliath crap. I’m not here to preach the Bible,” Arreola insisted. I don’t care. I’m a fighter and that’s what I do. I want to be in good boxing shape. I want to be able to go a full 12 rounds. As far as my weight, it’s just coming off. I plan to weigh in the high 230s. “I consider Adamek a cruiserweight who doesn’t have to cut down. He’s a medicated heavyweight. I respect him but my job in this fight is to show him he doesn’t belong in the heavyweight division. Everybody knows how I became a heavyweight. He’s a known cruiserweight, and that’s just how it is. You can take it however you would like to take it, and that’s just how it is. 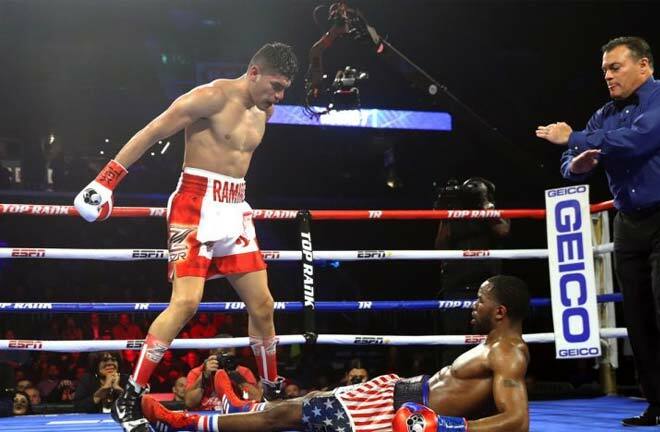 And his trainer, Henry Ramirez agrees that Arreola has made the commitment necessary to win this fight and answer some of his detractors, as well has his own harshest critic – himself. 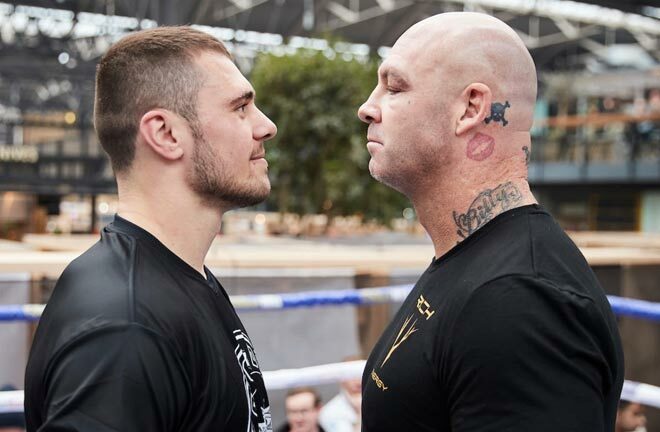 Will the boxing skills and solid chin of the inspired, two-time world champion fighting with a heavy heart be enough to overcome the power-punching, menacing local hero, or will Adamek experience his biggest “Nightmare”?